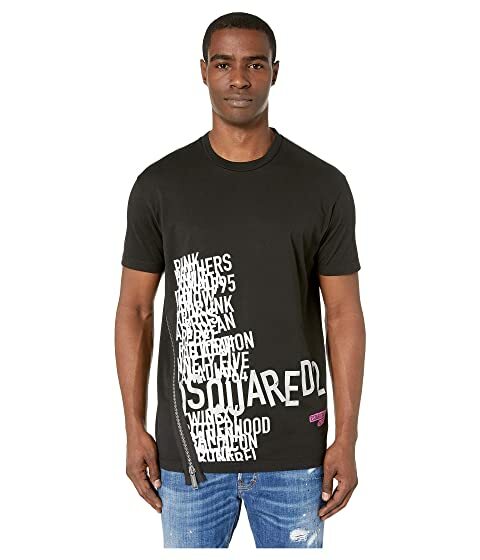 Be the life of the party in this cool and casual Dsquared2® Cool Fit Asymmetric Zip T-Shirt. Straight hemline with asymmetrical zipper to one side. We can't currently find any similar items for the Cool Fit Asymmetric Zip T-Shirt by DSQUARED2. Sorry!